Consumer demand for sustainability spans nearly every industry, and the restaurant industry is no exception. With the global consciousness of plastic-based and other non-renewable waste, it’s not a passing fad, but a movement being embraced by the restaurant business and governing bodies alike. In response to the call to remove Styrofoam and single-use plastics (like straws), as well as choose sustainable and responsible ingredients and supplies, restaurants have found themselves in a new mode of doing business and pleasing the consumer. Large corporations are transforming how they deliver food to patrons (including sustainable packaging choices) and the quality and sourcing of meats and produce (such as buying local, choosing certified non-GMO ingredients, and working with organizations able to vet fish sources and fishing practices). Ultimately, these improvements and initiatives have resulted in a new type of sustainability: maintaining customers and growing their loyalty instead of merely focusing on acquiring new patrons. Packaging and serving waste isn’t the only challenge in moving toward sustainability and responsible business practices. Food waste is a massive problem both in home and commercial kitchens. Knowledge truly is power, so the first helpful step is tracking the amount of food waste generated in the restaurant. Then, innovative thinking about ingredients leads to creative ways to use kitchen scraps and trimmings (such as fruit and vegetable trimmings repurposed in cocktails, or other trimmings as ingredients in different appetizers or entrees). Food prep training also goes a long way in educating kitchen staff on low-waste prep work. Donating excess food to local organizations is a responsible way to make sure perishables are used. And for leftovers and other items that can’t be used or reused, composting and responsible disposal are additional ways to reduce environmental impact (and landfill volumes). 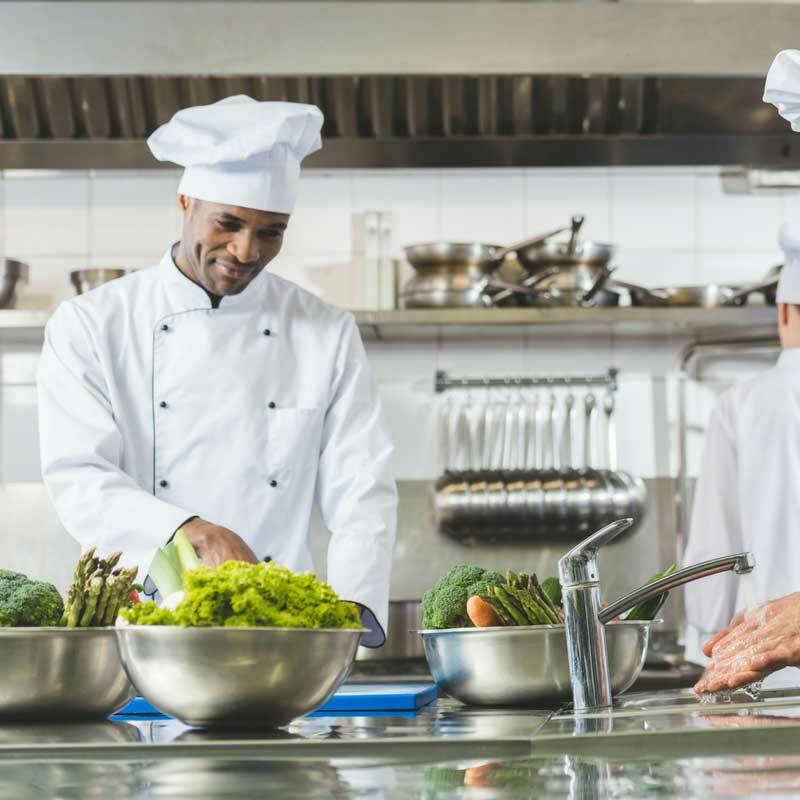 Sustainability efforts have a positive impact on restaurants and their patrons, but in the eyes of consumers it’s not just “nice” to know that a restaurant is taking these steps. It’s actually part of the decision-making process for nearly half of consumers. 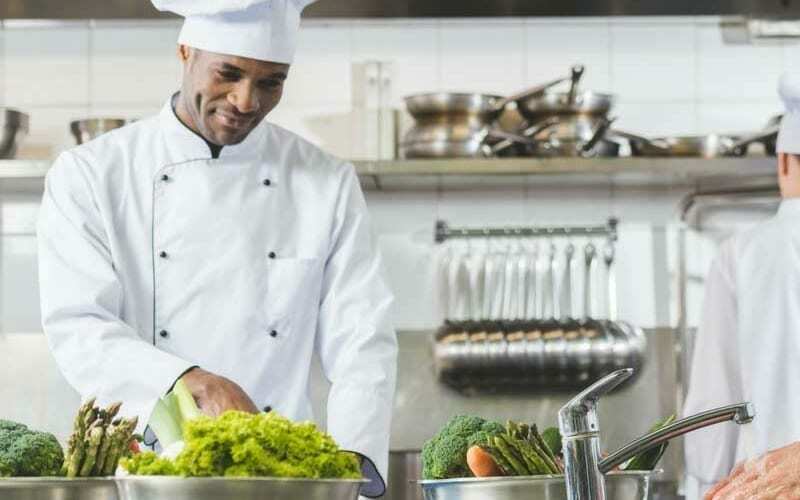 Restaurants that recycle, donate, and manage food waste responsibly are getting increasing support from consumers actively seeking out such businesses to patronize. Patrons also hunt for restaurants that serve food made from ingredients that may be non-GMO, pesticide-free, grass-fed and hormone-free, free-range, gluten-free, etc. Sustainable practices are certainly a selling point, and a means to educate consumers through digital content, so a robust online presence can help these businesses get the work out about their efforts, and both attract and engage with consumers. Sustainable and responsible business practices, product sourcing, and packaging are laudable, but not enough in themselves if it negatively impacts customer experience. Everything involved in the process must still result in an enjoyable meal in a pleasant atmosphere. Food must still taste great. Beverages still need to be drinkable without a straw. Recyclable or compostable to-go boxes still need to make it home (and even survive in the refrigerator for a couple days). Consumers need to see the efforts as improvements, rather than a loss of something they previously enjoyed. Missteps in a move toward sustainability can damage a restaurant’s reputation, so each choice must be intentional, and its impacts carefully considered so that the right supply decisions are made. There is no doubt that “green” is in, in a big way. But it’s just as true that it’s not easy being green—for Kermit or anyone. Consumers will richly reward quality restaurants that also embrace responsibility and sustainability, so it’s worth the effort to achieve.